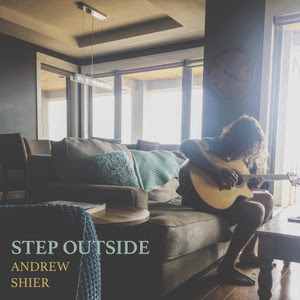 Canadian singer and songwriter Andrew Shier has just unveiled his brand new single Step Outside, the 4th single to be taken from his monthly music release. This is quite an infectious piece of Folk-tinged indie-rock music with an addictive hook. I am loving the tone of his vocals which are packed with some grit and tons of emotion. It's his lush vocals that drew my attention and then that instrumentation sealed the deal. Andrew's gorgeous vocals soar over ambient guitars, ethereal keys and steady percussion. I am loving the groovy guitar riffs and the guitar solo is amazing. I am also loving how there's somewhat of a psych-rock vibe to this song that makes it perfect for festival season. Stream this gem below!